Looking for Adventure? This is the trip for you! 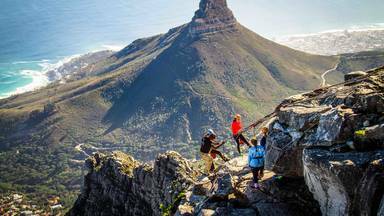 Join our guides on a full day action packed outdoor adventure. 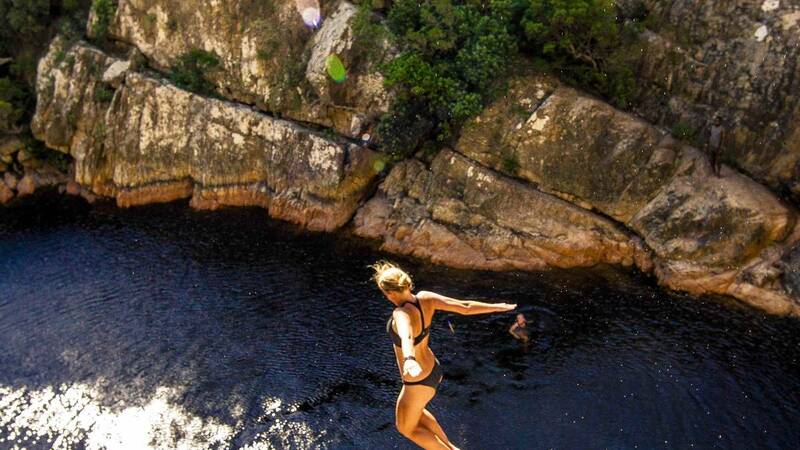 This trip promises to rock your socks off as you will embark on a 65m Waterfall Abseil try your hand at Kloofing, jumping from 3 metres to 22 metres high. 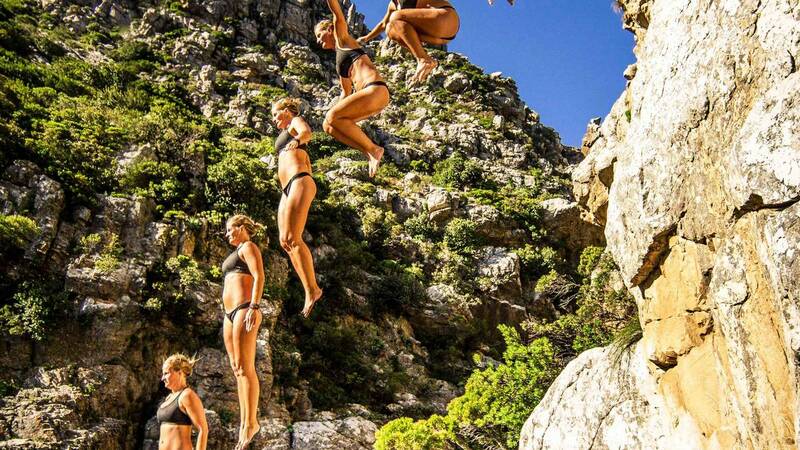 Take note you will be hiking to the various rock pools and abseil so wear appropriate shoes It might look a little crazy – it is! Address: 297 Long street Cape Town. 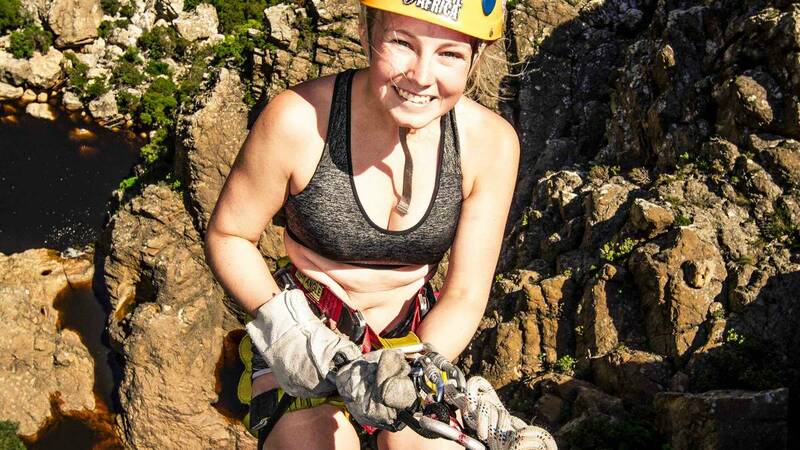 Abseil Africa’s Entrance is down Vredenburg Lane. First door on the left— Please ring the bell. - The next +/- 30 minute walk takes you to the top of Thunder Falls. - Lunch in the pools above the waterfall. 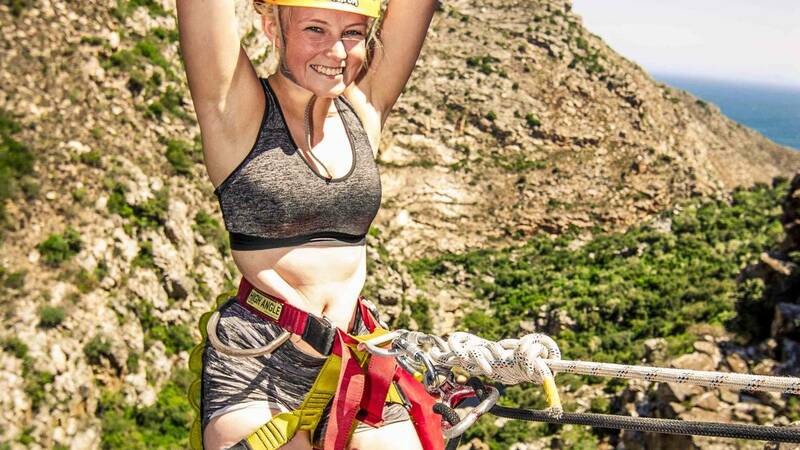 - Abseil down Thunder Falls. (65 metres). - Hike out of the gorge. Kamikaze Kanyon is in the Fynbos biome and forms part of the Cape Floral Kingdom. There are 6 floral kingdoms globaly and the Cape Floral Kingdom is the smallest and the most diverse per unit of area. Although the Fynbos biome only comprises 6% of the area of southern Africa, it has half the total number of plant species on the subcontinent – and has almost 1 in 5 of all African plant species so far described. WeatherWeather dependent. We can only confirm on the morning of the activity. What to WearHat, swimsuit, comfortable shoes (they will get wet). 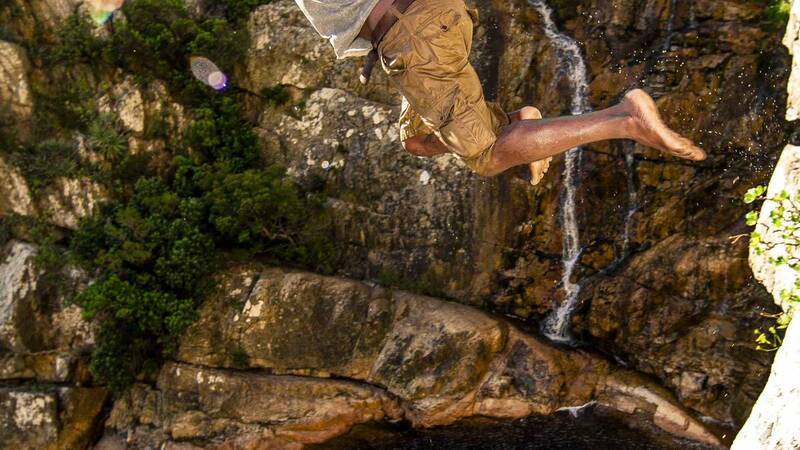 In the winter you might want to consider a wet suit(provided by Abseil Africa) as the water will be cold. Guests or SpectatorsThis is a full day excursion and is only open to fully paid guests. ExclusionsAny additional items of a personal nature. IMPORTANT: We require a minimum of 4 Pax in order for this trip to proceed. Your booking will be confirmed automatically by the reservation system, however we will stay in touch in case we do not have the required number of participants for the trip to proceed. - In the event of cancellation before 48 hours of the confirmed activity date, a 10% administration fee will apply. - In the event of cancellation within 24 hours of the confirmed activity date, a 25% administration fee will apply. - In the event of a “no show”or cancellation on the day of the confirmed activity, a 100% missed booking/cancellation fee will apply.